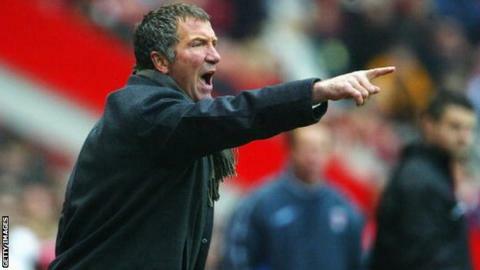 Former Liverpool and Rangers manager Graeme Souness has been taken to hospital in Bournemouth. No details of the 62-year-old's condition have been made available. Since leaving his last job in football as manager of Newcastle in 2006, Souness has worked in the media, most notably as a pundit for Sky Sports. His colleague Jeff Stelling opened the station's Soccer Saturday broadcast by saying: "Souey, if you're watching, get well very quickly." Souness won 54 caps for Scotland during a playing career which also saw him win five league titles and three European Cups for Liverpool and the Coppa Italia with Sampdoria. As a manager, he led Rangers to three Scottish titles and four League Cups. He won the 1992 FA Cup with Liverpool. He had a triple heart bypass operation in 1992, when he was 38. Is the 17-ball hundred possible? Read more on After Jos Buttler's 46-ball century, how fast can ODI hundreds get?